Are you switching to an Android device and you wish to disable the iMessage app of your iOS device? Are you having a difficult time dealing with disabling your iMessage since your e-mail address, phone number and other information about you would be sacrificed once you choose to leave them behind while you switch to a non-iOS device? 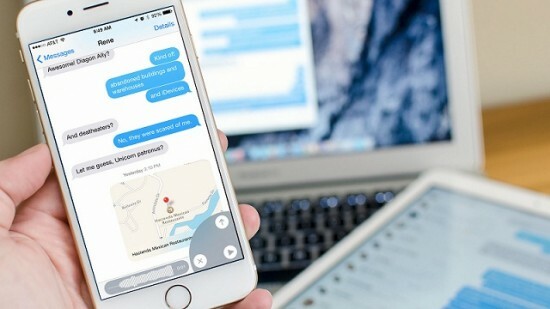 Well, there are ways on how you can disable your iMessage completely and successfully, without having to worry about messages and notifications being stuck in your iOS device. First, you have to disable iMessage on your iPad or Mac, if you have synced these with your iPhone. For your Mac, select Messages which can be found on your menu bar, then go to Preferences and click your account for iMessage and look for the Enable this account checkbox and click it for the check mark to be removed and for your iMessage to be disabled. For your iPad, go to your Settings, then to the option for Messages and disable the iMessage app by sliding the switch off. One more step that you should take when trying to completely disable your iMessage is having it disabled on your phone, a step which is similar to what you will do when disabling iMessage for iPad. First, you have to go to your Settings, then select Messages and slide the switch for iMessage off. Finally, if you believe that you have already followed all the steps mentioned above, go for a trial and error session and see whether you have really done everything successfully. Send a message to any of the contacts you have on your phone. If the message bubble is green, instead of blue, which is for iMessage, then, you have performed all of the required steps successfully. Therefore, your iMessage has really been disabled and what you are sending and receiving are mere SMS messages. With the correct setup, you would no longer have to lose your mind as you switch to using an Android or any non-iOS device. All of your messages will successfully reach your SIM and your phone and no messages will be stuck in your iOS device. So, if you are among the countless phone users trying to take the switch, just follow the steps mentioned above and you will be able to free yourself from your iOS device.